On the other hand, the Arabic language, official in 28 countries across Africa and the Middle East, is really a collection of languages, some not even mutually intelligible. Yet, a standardized form of the language prevails across all Arabic-speaking countries, which all proudly acknowledge they all speak the same language, Arabic. The reason for this is that unlike the Arab identity and language, which was promoted by a strong post-colonial pan-Arab movement in several nations, the Persian-speaking nations all went their own ways for political reasons. The Pahlavi Dynasty of Iran (1925-1979) strongly emphasized Iran’s pre-Islamic identity and connection with ancient Persia. On the other hand, Soviet authorities in the Tajik Soviet Socialist Republic sought to distance Central Asian Persian speakers from the ancient Persian and medieval Islamic identity of their ancestors, and changed the script of the Tajik language from Perso-Arabic to Cyrillic. 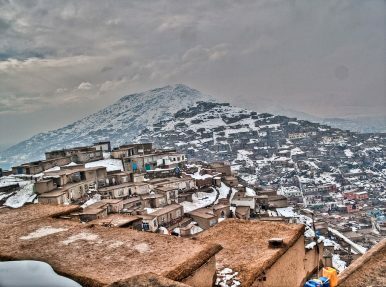 Meanwhile, while speakers of Afghan Persian (Dari) are over half the population of Afghanistan, they are divided between several ethnic groups, such as the Tajiks, Farsiwan, Hazara, and the Aimaq; the single largest ethnic group in Afghanistan are the Pashto speaking-Pashtuns, also historically known as the Afghans. As the name of the country suggests, Pashtuns or Afghans, were the historically dominant ethnic group in the country, which was created by Pashtun kings in several stages from 1709 to 1747. The country is still mostly dominated by political organizations made up mostly of Pashtuns, including the Taliban, as well as the support-bases of both Hamid Karzai and Ashraf Ghani. There is also much resentment on the part of Afghan Persian speakers over Pashtun efforts to shape the vocabulary of Afghan Persian in a manner that would differentiate it from Iranian Persian. For example, many in Afghanistan insisted that the Pashto word for university, pohatun (پوهنتون) also be used in Persian-language signage, instead of the Persian word, daneshgah (دانشگاه). The issue still deeply polarizes Pashtuns and non-Pashtuns, and reflects a north-south political and cultural divide in Afghanistan. The best solution would be one that changes the name of the Persian language in Afghanistan via constitutional means to one that reflects its speakers’ own identity. There is hardly any risk that such a change, renaming Dari as Farsi, would pose a threat to Afghanistan’s sovereignty or identity. After all, most Persian-speakers (and leaders) in Afghanistan are Sunni, not Shia, and have strong local identities and concerns deeply rooted in their localities and fiefs; their geopolitical horizons are often more closely oriented toward South Asia or Central Asia than Iran, with the exception of Herat in the far-west. Tensions are rising over the use of Afghanistan's two official languages.